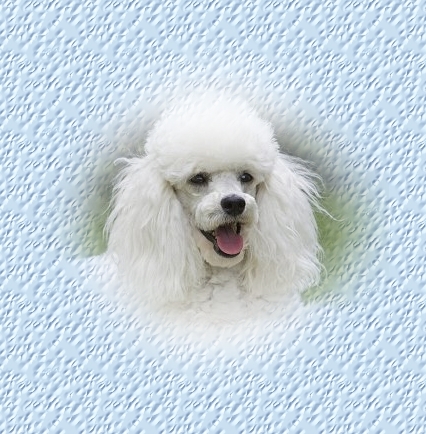 ﻿Bruce Goodman's "Muffin was a toy poodle"
Muffin was a toy poodle. Her owner was Wesley. Wesley had a friend called Jack. Muffin was white. She was small and graceful and light. She never forgot a face once licked! Wesley was off to the airport in San Diego to pick up his friend, Jack. Muffin came along for the ride. There’s Jack now! He’s waiting in line at the international airport Customs. Muffin leapt out of Wesley’s arms and raced towards Jack. She ran across the border line. Such disregard for international procedures! She jumped into Jack’s arms. Muffin licked Jack’s face. The others waiting in line clapped and laughed. The next lot of drugs Jack has to import with the help of Muffin is in LA.